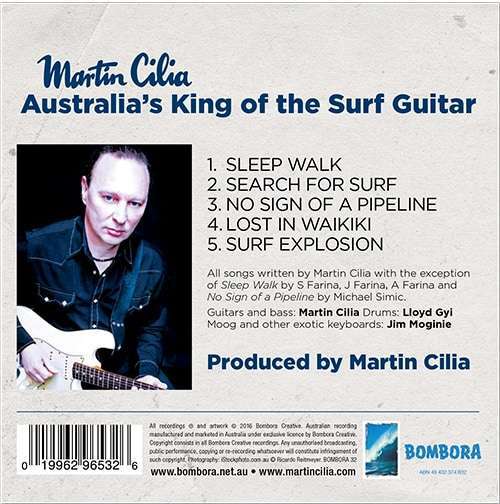 This is the latest release from Australia’s King of the Surf Guitar. 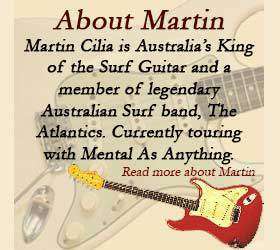 These are five exciting instrumental recordings including a solid version of the Santo & Johnny classic tune Sleep Walk. 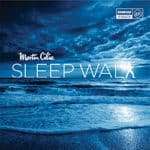 All songs written by Martin Cilia, with the exception of Sleep Walk by S Farina, J Farina & A Farina and No Sign of A Pipeline by Michael Simic.